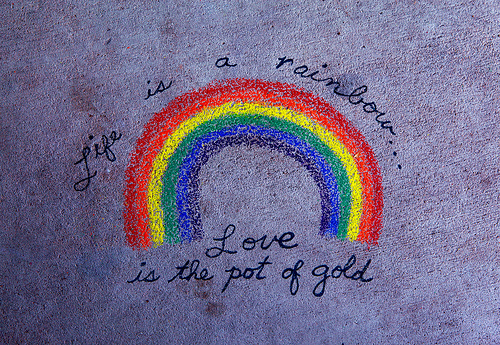 We’re spending each of the next six or seven weeks focusing on a color of the rainbow. ( I haven’t decided if indigo and violet will be two weeks or get lumped into one week of purple.) My two girls are both three years old and fairly color savvy. They love to notice all the “matches” around them, and we often talk about the colors of objects. I don’t consider it imperative that we make sure they know their colors at this stage. I do, however want to make a priority of planning ideas that they will have fun with. I spend a lot of time planning and doing school work with their older brothers, and sometimes it just seems like the young ones get left out or pushed aside. Our times will include, among other things, reading, eating, nature walks and artwork. I will plan to post about each color as we complete it. For now I will leave you with a few of our favorite multi-colored books and games. 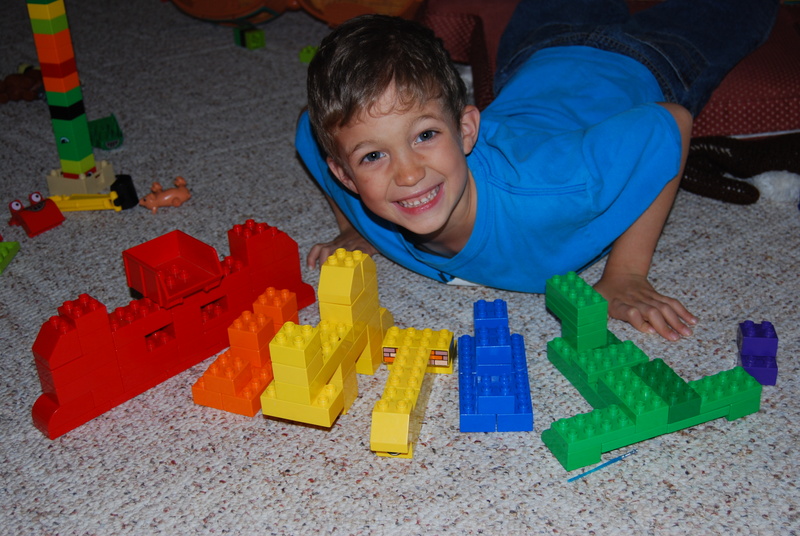 Andrew loved making lego creations out of a single color.